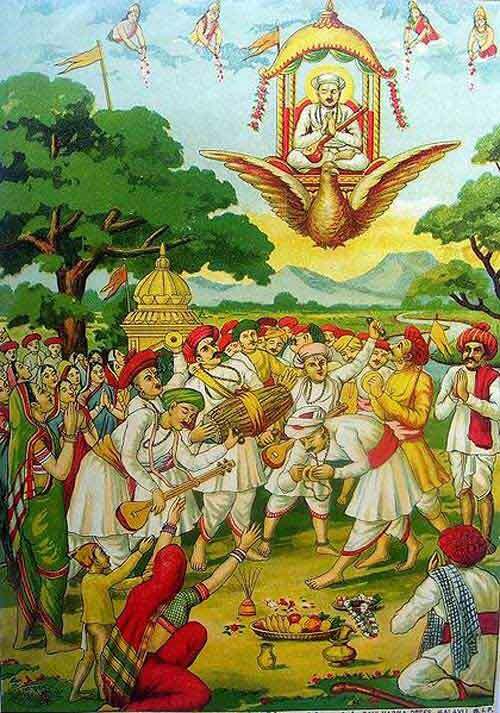 Sant Tukaram Beej is believed to be the day when Sant Tukaram left for heavenly abode. In 2019, the date of Sant Tukaram Beej is March 22. It is observed on the second day of the Krishna Paksha (waning phase of moon) in the Falgun or Phalguna month (February – March) as per traditional Marathi calendar. On the day, devotees gather at temples and at sacred places at noon and perform various rituals as a mark of respect to great Bhakti saint. Vithoba Temple at Dehu in Maharashtra is the home town of Sant Tukaram Maharaj and thousands of people pay respect to Sant Tukaram here on the day. It is popularly believed that Sant Tukaram left his body on the forenoon of the second day in Falgun Krishna paksha in 1650 AD. 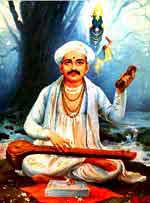 One of the greatest exponents of the Bhakti cult in Marathi culture, Sant Tukaram is worshipped by millions of people around the world and people take inspiration from his poems and teachings. Devotees believe that Sant Tukaram left for Vaikunta on Garuda on this day. A tree on the premises of the temple shakes at noon time even today on the Tukaram Beej day. There is no estimate regarding the number of pilgrims attending the Sukaram Beej. But rough estimates are that more than 100,000 devotees from various parts of Maharashtra and Karnataka attend this divine event.